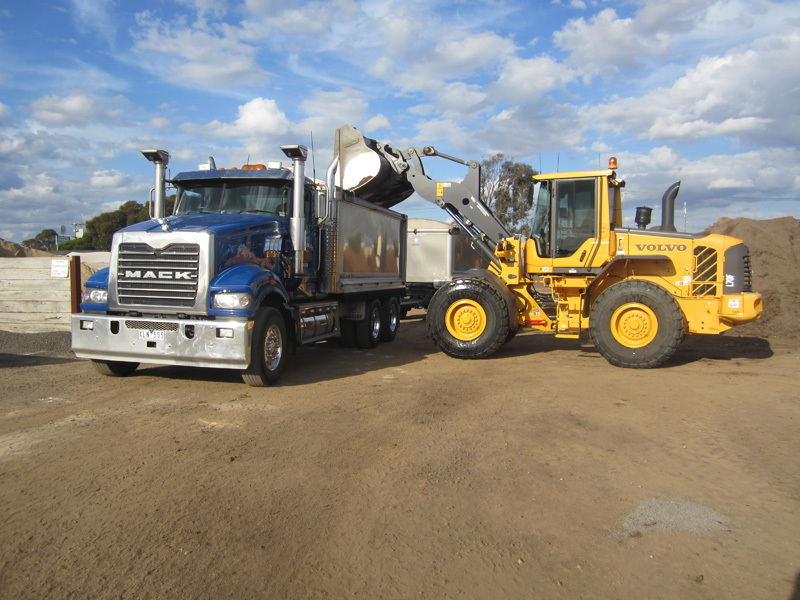 Mickleham Soils is our bulk sales division. We have 2 sand and soil pits,one located in the south at Lang Lang the other in the north at Pyalong. From our pit at Lang Lang we are able to source a Sandy Loam topsoil or different types of Turf Sands. 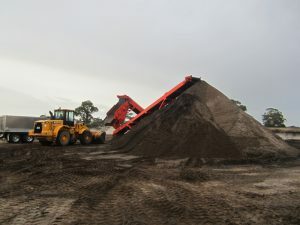 From our sand pit operation at Pyalong we also have a Turf Sand and Packing Sand. Mickleham Soils Pty Ltd has its own truck and trailers and therefore we can supply and deliver all our own products, keeping the whole operation in house. Truck and Trailer capacity range in size from 20 metre capacity to 35 metre capacity. Truck only capacity range from 1 cubic metre to 15 cubic metre. 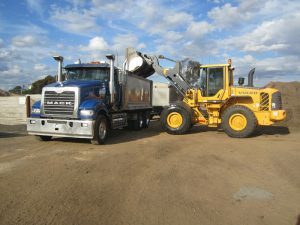 We can also provide water trucks and loader hire. 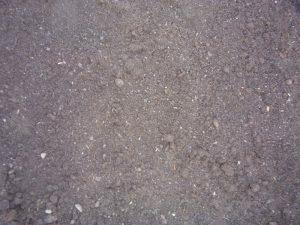 We can provide a number of Turf Sands to suit most applications, from oval construction, top dressing, or golf courses. Lang Lang Grey which is a medium drainage sand. 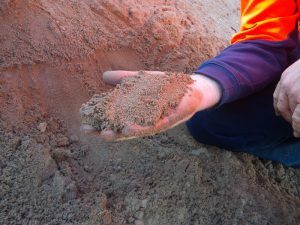 Keysborough turfsand which is a medium drainage sand. 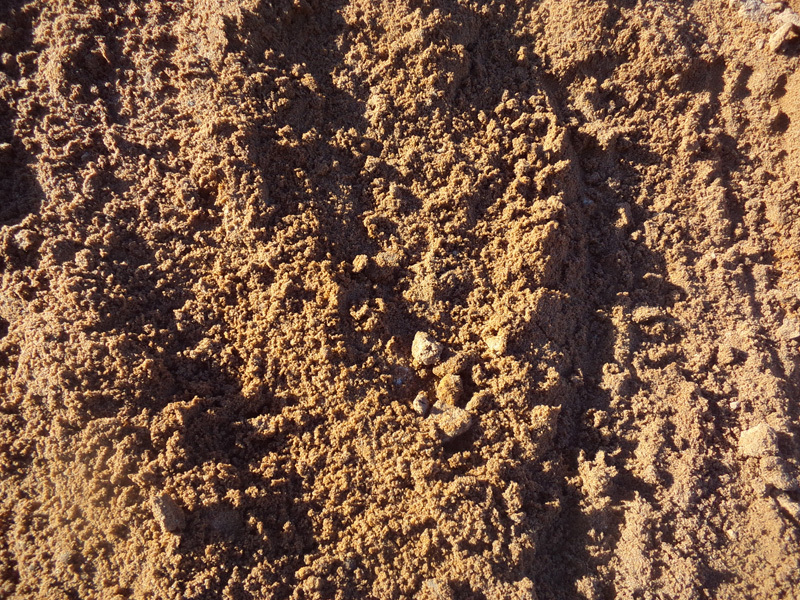 Rocla washed turfsand which is a high drainage sand. Pyalong Brown which is a slow drainage sand. 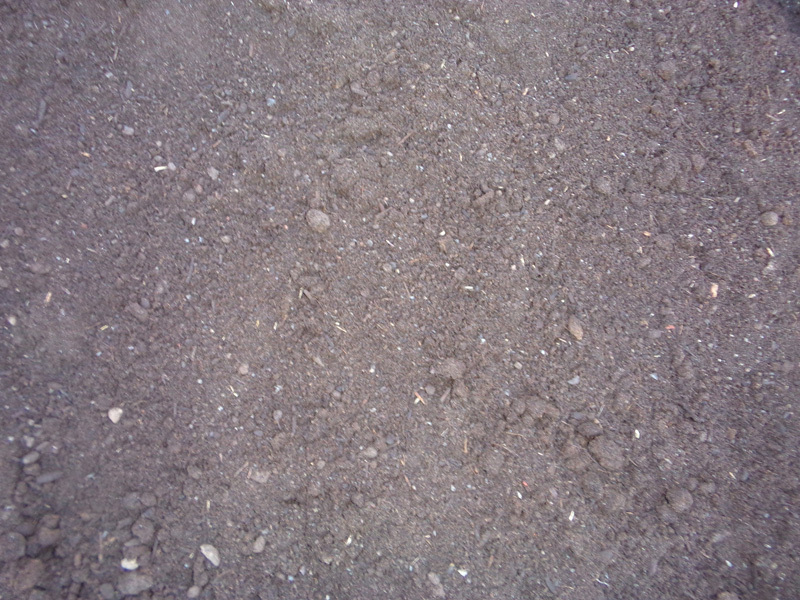 This soil is generally clean and free of rock and rubbish. 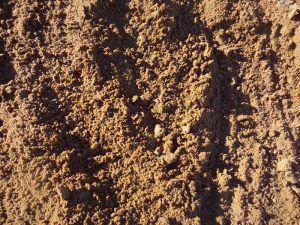 Suitable for levelling up large areas before topdressing. 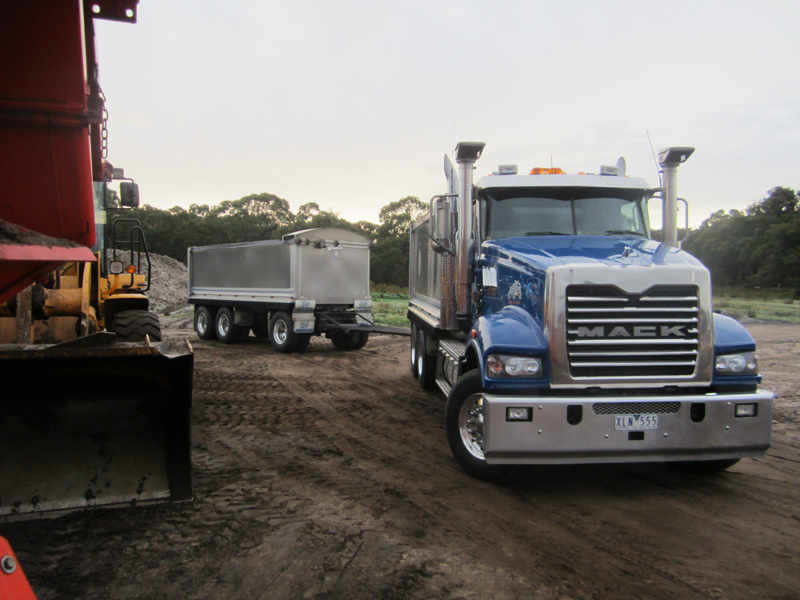 Mickleham Soils run all the latest equipment to ensure prompt and reliable delivery of bulk orders, as pictured below are our latest additions to the fleet, a new Volvo L70F Wheel Loader loading the new Mack Trident.